Once upon a time, people thought the atom was the key to the future. It may have just been the ultimate threat to human existence at the time, but Cold War engineers thought nuclear power had plenty of utility as well. Using a small chunk of metal to power a city for decades seems like a good deal, as long as you don’t consider radiation and the occasional bout of China Syndrome. Before people started thinking about those little foibles, they came up with some pretty creative uses for nuclear power. A functioning nuclear-powered car was never actually built, but Ford toyed with the idea. The company’s 1958 Nucleon concept was a 3/8 scale model intended to show what a production atomic car could look like. 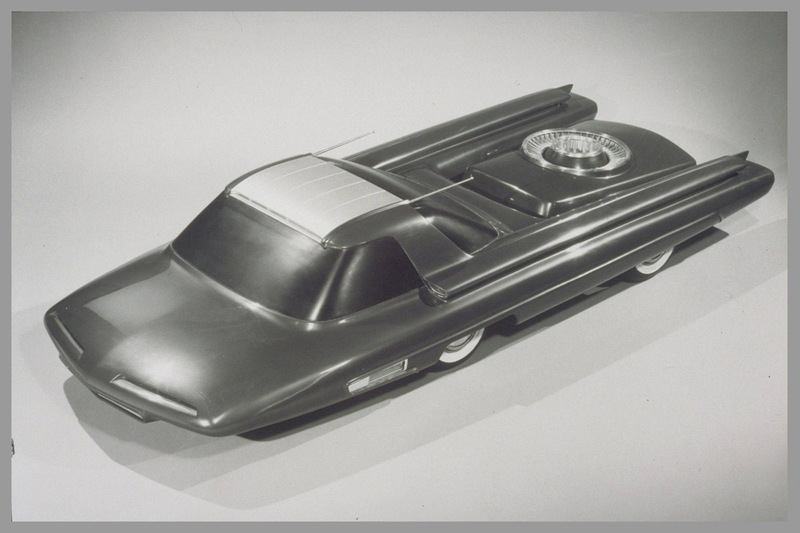 The Nucleon had the cab-forward look of the Dodge Deora (of Hot Wheels fame), but instead of a pickup bed for storing surfboards, it had a rear-mounted nuclear reactor. While it would have made an interesting rival for the Porsche 911, it’s probably best that the Nucleon never made it to production. 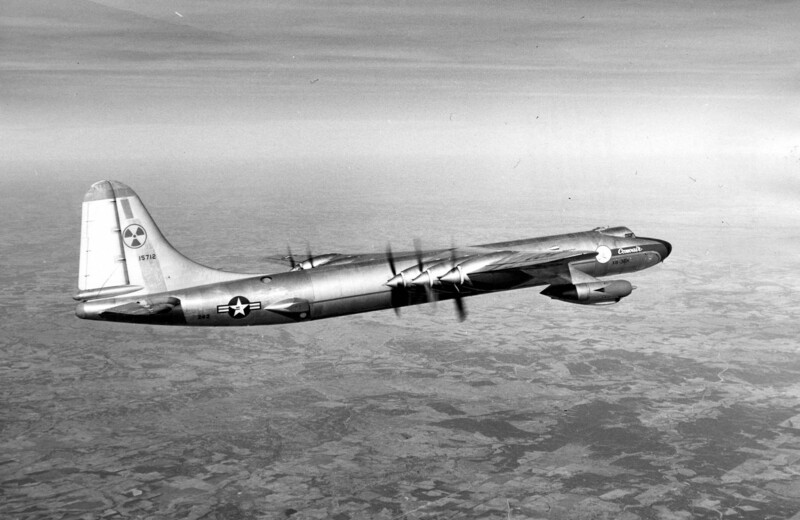 During the 1950s, ships took their place in the triad of strategic defense thanks to nuclear power, so it’s not surprising that the American and Soviet air forces wanted to extend that success to their strategic bombers. Strategic bombers patrolled enemy airspace in anticipation of a nuclear strike, a la Dr. Strangelove. A bomber with the unlimited range of a nuclear submarine would definitely have been an asset. While a nuclear reactor never powered a plane, both Cold War rivals sent them aloft in conventional aircraft to see if they and their heavy shielding could be lifted. The Americans built the Convair NB-36H, a variant of the B-36 Peacemaker, and the Soviets converted a TU-95 into the TU-95LAL. General Electric also built a prototype reactor in Idaho for the follow-up to the NB-36H, the X-6, but thankfully it proved unnecessary. Advances in Intercontinental Ballistic Missiles (ICBMs) eventually negated the need for a long range nuclear-powered bomber. If a nuclear wing aircraft couldn’t work, what about one with the Hindenburg’s propensity for spontaneous combustion? The airship was out of vogue by the 1950s, but that didn’t stop The U.S. Navy’s Bureau of Naval Weapons from proposing an atomic version as part of the Eisenhower Administration’s “Atoms for Peace” program. The Navy reasoned that an airship’s low power requirements would allow it to use a lighter reactor, and that it serve as a “flying aircraft carrier,” defending itself with its own fighter planes. An even more ambitious proposal appeared in a 1956 Mechanix Illustrated article. 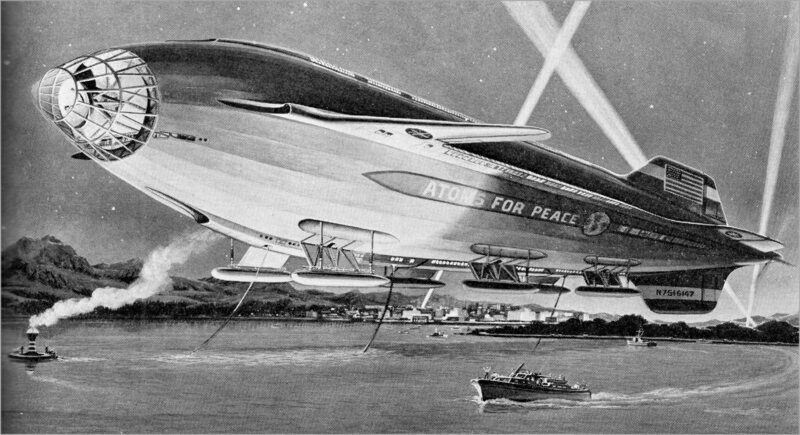 Author Frank Tinsley envisioned an airship 1,000 feet in length (nearly twice the length of the Hindenburg) that could be used to publicize the Atoms for Peace program. Ike ended up building the nuclear cargo ship Savannah instead, and that’s probably for the better. Given large airships’ inability to stay aloft (the entire U.S. airship fleet of the 1930s was lost in crashes), it’s probably best that one didn’t take to the skies with a nuclear reactor on board. Before GPS, lighthouses were all that kept mariners from crashing into rocky shorelines and underwater obstacles. To keep the lights on, keepers needed to make sure there was plenty of fuel or electricity at the lighthouses’ remote locations. 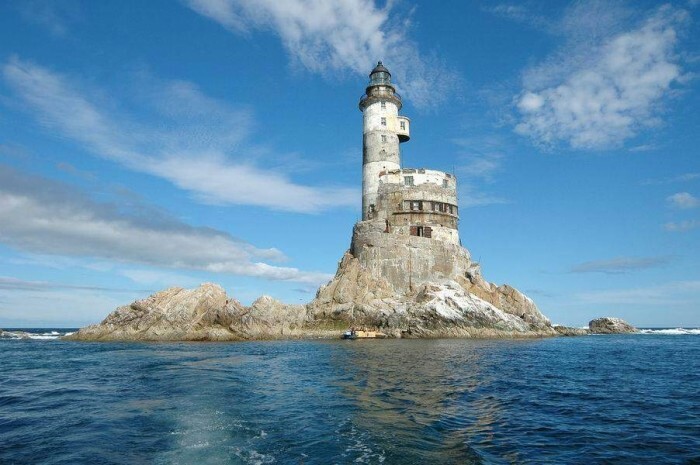 That must have seemed like too much of a hassle to the Russians, who built a few lighthouses powered by radioisotope thermoelectric generators (RTGs), the same type of generator that powers the Curiosity Mars rover. Unlike nuclear reactors, RTGs rely solely on the energetic decay of a piece of radioactive material. As the material decays, it emits energy that is converted into electricity. A box of plutonium might generate plenty of power for an otherwise inaccessible structure, but is it really a good idea to leave said plutonium unsupervised? If you think the all-seeing Predator drone is scary, wait ‘til you meet “Project Pluto.” An atomic nightmare, it was a pilotless nuclear powered cruise missile that could launch its own nuclear weapons. Known as a Supersonic Low-Altitude Missile (SLAM), Project Pluto’s mission profile exemplifies Cold War desperation. The reactor powered a ramjet, heating air fed into the craft as it moved and expanding it to produce thrust. this would have allowed a Pluto missile to travel at speeds up to Mach 3 and stay airborne for months at a time, allowing it to deliver a payload of hydrogen bombs to multiple targets. It gets better though: Pluto’s unshielded nuclear reactor would spread radiation as it traveled along, making it pretty dangerous to the country that launched it. 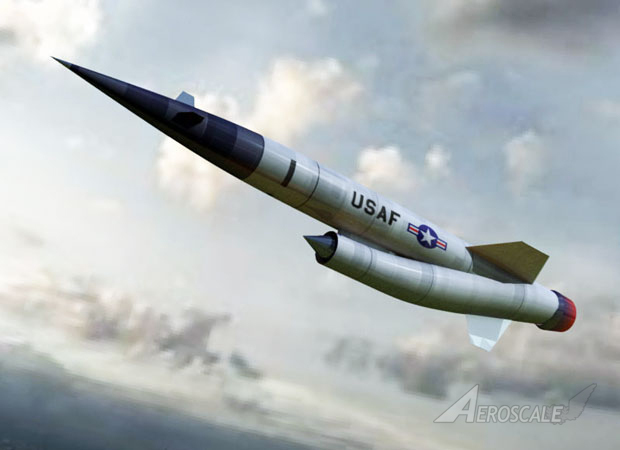 Developers believed low altitude supersonic shockwaves could also be dangerous to bystanders, but that didn’t stop them from testing a prototype nuclear ramjet engine in 1961. In his memoir, Silent War, Navy special projects director John Craven recalls hoping that a defect would be found in the engine, shelving Project Pluto. To his (and my) relief, the military eventually gave up on its atomic death machine. Technology is a wonderful thing (this blog wouldn’t be possible without it), but it does come with some drawbacks. The combined heat of the world’s iPad 3s is probably contributing to global warming, and some say the Internet is just one big distraction. Regardless, one thing is certain: high tech gadgets make people incredibly rude. People seem to think that smart phones and other devices excuse them from behaving properly. They let them ring at the most inappropriate times, and discuss things in elevated cell phone voices that not one needs to hear. Suits with ear pieces look like they are talking to themselves. People carry on conversations with friends while texting other friends. A few years ago, this type of behavior would have been unthinkable. Now, people are so engrossed in what is happening on their tiny LCD screens that they ignore the people around them. Is this the future of human interactions? Perhaps not. I may sound like an altacocker, but I’m actually part of the young, tech savvy generation ad men dream about. This isn’t the 1950s, where an older generation decried youth’s supposed lack of morals. This time, parents (and grandparents) are listening to rock n’ roll. Unlike past cultural phenomena, the technological revolution is not generation-specific. A common stereotype is that all young people are very good with computers, while their Baby Boomer parents just can’t figure them out. That’s often true, but that doesn’t mean older people are not using computers, smart phones, or tablets. In fact, that’s the problem. Consequently, it’s up to teenagers and 20-somethings to teach their parents some manners. This generation has grown up with the annoyances of technology abuse, so they know how to use their devices without making everyone within a 15-foot radius want to kill them. Youth is also much better for marketing: no one takes an old person complaining about manners seriously, but what about someone in their 20s? For once, parents should listen to their children. What would we do without life’s inefficiencies? I don’t do much. Besides work and errands, the high point of my typical week is usually a visit to the bookstore. I browse the shelves, looking for potential purchases and helping to stimulate the economy. My life is pretty boring, and it’s about to get more boring thanks to technological progress. If you’ve seen Amazon’s latest kindle ads, you know that the powers that be are marketing electronic books and magazines as the “smart” alternative to print. That mentality could make weekly trips to the bookstore obsolete. Is that really the best thing for society? Digitization will make purchasing and reading much easier; consumers will be able to save time and gas that would be spent going to the store, and they’ll save money on bookshelves. The paper books and magazines are printed on and the energy used to produce them will also be saved. The tablet really seems like a utopian technology: it allows to humans to conserve Earth’s resources while making their lives easier. The same thing could happen when e-readers put bookstores in our pockets. Shopping at a bookstore is an event; once you’re there, there is no logical action besides browsing. The electronic method removes that reflection time: buying books and magazines becomes yet another time killer, something people do during spare moments or when they are supposed to be working. No one will have time to decide anything for themselves, so they will have to rely on other people’s opinions. The Internet allows people to cram more into each day, but when did efficiency become so important? Other than matters of technology, when do human beings do something because it is logically superior to the alternative? If people were completely rational, valuing efficiency above all else, politics would not be the circus it is. Everyone would take public transportation. No one would have a pet. People would choose romantic partners based on their punctuality. Life’s little inefficiencies are part of the human experience. The people trying to sell you iPads would probably dismiss that statement as sentimental nonsense, but it’s true. Efficiency is important on the job and in Washington, but not when it comes to what are supposed to be leisure activities. Old forms of technology, from film photography to vinyl records, have coalesced into what New York magazine calls an “analog underground.” Hopefully, print publications won’t be relegated to this form of novelty. I am not a Luddite; every medium has it’s own use (this blog, for instance, could not exist in print). For short bursts of on-demand information, the Internet is king. But if you have the time to read an entire book, why do you need to buy it in one click? American consumers may decide that they can’t live without instant gratification, but my book browsing sessions will be a lot less satisfying from behind a computer screen.